Understanding the essential parts of a flower begins by breaking it down into its major parts: the reproductive organs and the non-reproductive parts. The reproductive organs, which include the stamen and the pistil, are essential for the flower's survival as a species. The other parts of the flower help protect the reproductive organs and attract insects and birds to the flower, which are essential for reproduction. The stamen is the male reproductive organ of the flower that produces the pollen. It is usually composed of pollen, the filament and the anther. It is either attached to the receptacle inside the corolla or attached to the corolla, depending on the species of flower. Pollen are powdery micro-spores, and are the sperm-making organs of the plant. The filament is the thin stalk that provides support for the anther. It is part of the stamen. 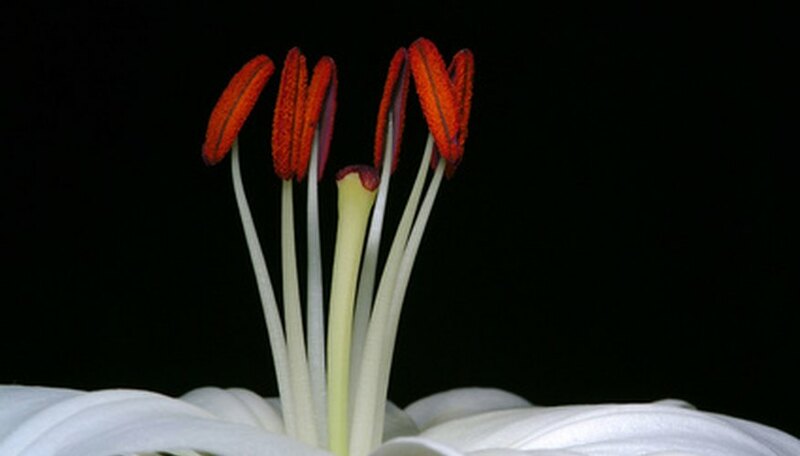 The anther is the part of the stamen that contains pollen sacs; it is where pollen is produced. 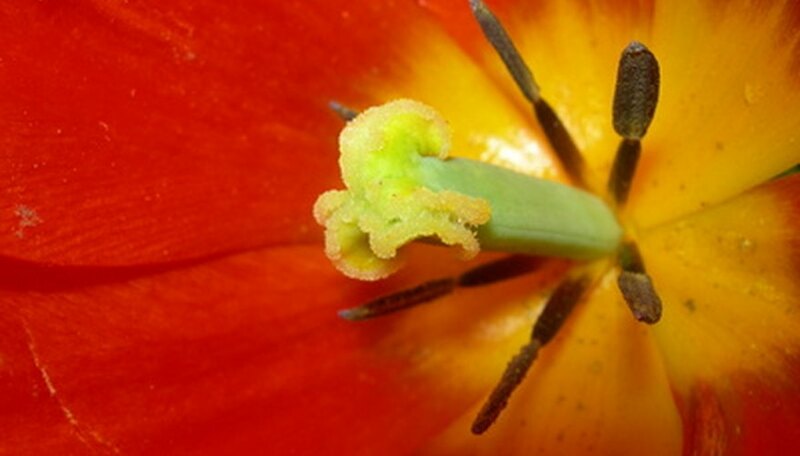 The sacs release pollen onto the outside of the anthers, where it is then transferred to the ovule. Anthers are usually lobed, oblong and yellow. The pistils are the female reproductive organs of the flower. They are usually found in the very center of the flower. 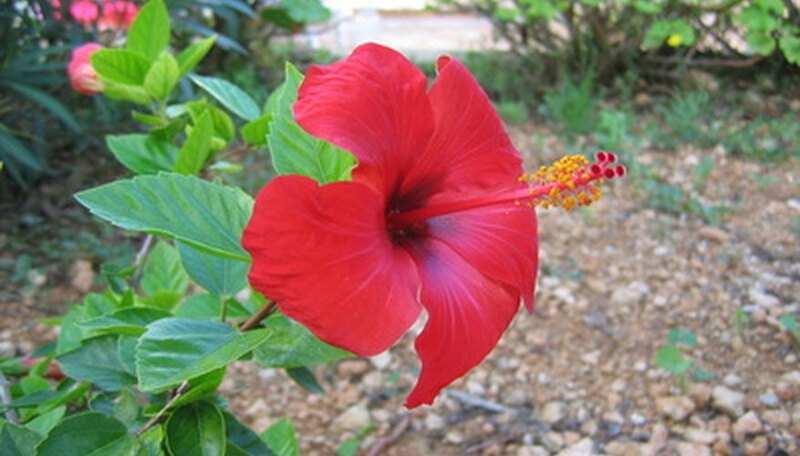 There may be one or more than one pistil in a flower. Pistils are composed of the stigma, style, ovary and ovules. The stigma is where the pollen germinates. It is covered with a sticky substance that allows the pollen to stick to it. The style is the part of the pistil that holds the stigma away from the ovary. It helps decrease the chance of pollen contamination and can vary in length. The ovary is the enlarged, basal part of the pistil that houses and protects the ovules. Once fertilized, it becomes the fruit or seed of the plant. Ovules contain the egg cells. They are attached to a central axis or the inner wall of the ovary by a tissue called the placenta. The perianth is the outer part of the flower that contains the calyx and the corolla of the flower. The calyx is the protective cover of a flower that encloses the bud and includes all the sepals of the flower. Sepals are part of the outer whorl of petals on a flower. They are usually, but not always, green. The corolla is the term for all the petals. Petals are soft, often brightly colored modified leaves that form whorls around the reproductive organs of a flower. Not all plants have petals. Some, such as tulip, have petaloid sepals, which are really sepals that look like petals. The other major parts of a flower are the nectary, the pedicel and the peduncle. The nectary produces nectar. Its job is to attract insects and birds in order to distribute its pollen and become fertilized. The stalks of a flower are known as the pedicel or the peduncle. Single flowers are held to the plant on a stalk known as a peduncle. Flower clusters, or inflorescences, also have pedicels. Pedicels are the stalks that hold each individual flower in the cluster to the peduncle.